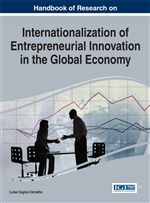 The study object of the research described in this chapter is the internationalization of the public university both in Portugal and Spain. In this research, these countries' university is modeled as an open system in which the institutional and national levels are highlighted. The regional and global levels are indirectly considered by the influence they have on the national and institutional levels. A two-fold analysis was conducted: first, a preliminary qualitative one about the present situation of both Spanish and Portuguese public universities internationalization, based on the available official data sources; second, the quantitative analysis of the results got in the responded questionnaires. This study may contribute to understanding of the nature of Portuguese and Spanish public universities' internationalization process as well as the guidelines that may better contribute to reinforce their internationalization. If we accept a holistic perspective concerning the University “internationalist” characteristic, it seems reasonable to affirm that this characteristic is intrinsic to its genetic content. The history of the University traces its origins to around the 12th century in Europe, with the Medieval University, natural corollary of Christianity, of strengthening the feudal territorial independence, of land concentration and its settlement as well as of the increase in agricultural production, and consequently of its surpluses trade. The Medieval University is the source of the concepts of University that still last today: the University was not only a learning institution, but also a place for developing the thought and for creating knowledge. It was the headquarters for scholarly debate, and often the area of conflict between the real power and the ecclesiastical power. Masters and students overcame their territorial borders to acquire the necessary knowledge for social development and for power support, a mission that lasted until the end of the 17th century. Simultaneously with the consolidation of the Medieval University, “the discovery of new worlds” cycle happened from the 15th century on. This cycle can simply be seen as a colonization movement that first involved the Portuguese and the Spanish (1492-1572) (Hernandez, 1985), and afterwards (1534-1630), other peoples from Europe, namely the Dutch, the Swedish, the French and the British. The depth of this colonization movement is clearly perceived when knowing that it included the founding of two universities – the University of Lima in 1551, and the University of Mexico in 1553 –, leading, in following years, to the founding of universities in South America and Antilles, in India, Macau, China and Japan. We can, therefore, affirm that from the 12th century to the 17th century the University had an international vocation and its own mission, centered on masters and students’ mobility, and on its settlement in scattered regions around the world. Within this cycle the “discovery of America” took place, specifically of its northern continent, colonized by the French and the English, who fought each other for the possession of the territories in that vast region. This rivalry gave origin to an indigenous settler movement, which culminated in the American War of Independence and in the ensuing Declaration of Independence (1776). The United States were born with a very close configuration to the one we know today. Those French and British settlers that did not comply with this secessionist movement moved farther north, having founded Canada (Fohlen, 1985, p. 241). It was during that colonial period under the British power that the first American Universities were formed. The first was the Harvard College (1636), which, having been founded by British settlers, replicated the fundamentals and culture of the two main British Universities: Oxford and Cambridge. Nevertheless, and concurrently after the beginning of the 17th century, there was a decline in the University foundational principles derived from a social transformation process whose epicenter was France and the French Revolution (1789-1799). The French Revolution repercussions were extended under diverse forms and degrees to almost all Europe, as well as to the United States and to Canada. It was a social transformation of both economic and social nature, in which the University assumed, paradigmatically, a new mission with utilitarian significance: “offer to the State and to the post-revolutionary society the necessary boards to stabilize a troubled country; strictly control its training and education according to the new social order; and prevent the rebirth of new professional corporations” (Charle & Verger, 1996, p. 76). The French Revolution symbolically signals the beginning of the end of the Medieval University. Comprehensive Internationalization: An organizational paradigm that holistically thinks about the internationalization of higher education, recognizing and including the diversity of approaches of the institutions. Student International Exchange: The movement of students from one home university to universities abroad, as well as on the flow of foreign students coming from abroad to study at a university in the country. Faculty Policies and Practices for Internationalization: The policies and practices outlined for the university’s human resources management, since these are the pillars for implementing the internationalization, whether in teaching, and in research/services activities or in their ability to detect opportunities to establish international partnerships and collaborations. Collaboration and Partnerships: Includes all forms of internationalization of university activities with cross-border character, which can be structured in the mobility of students, institutions, courses/programmes and research projects/services. Organizational Structure for Internationalization: The organizational structures that support the implementation of internationalization according to the framework outlined in the institutional commitment. Degree of Internationalization: A quantitative value for each university obtained by averaging the normalized value of every dimension on the concept of comprehensive internationalization. Institutional Commitment to Internationalization: The link between mission, strategy, planning and assessment mechanisms, and the communication channels within and outside the university, in order to assess whether and how stakeholders perceive the definition of internationalization as a priority for the university. Internationalization of the Curriculum: A concept that focuses on the internationalization of educational programs in general, such as curricula, learning outcomes, or language requirements.